We would like to take this opportunity to wish you all a Happy Easter and to say thank you for all the support you give to us through your kind words, thoughts, visits and donations. We would also like to share with you the story of one our recent patients which inspired this Easter Appeal. Meet our emergency team who step up at those times when speedy action is the key to saving lives. 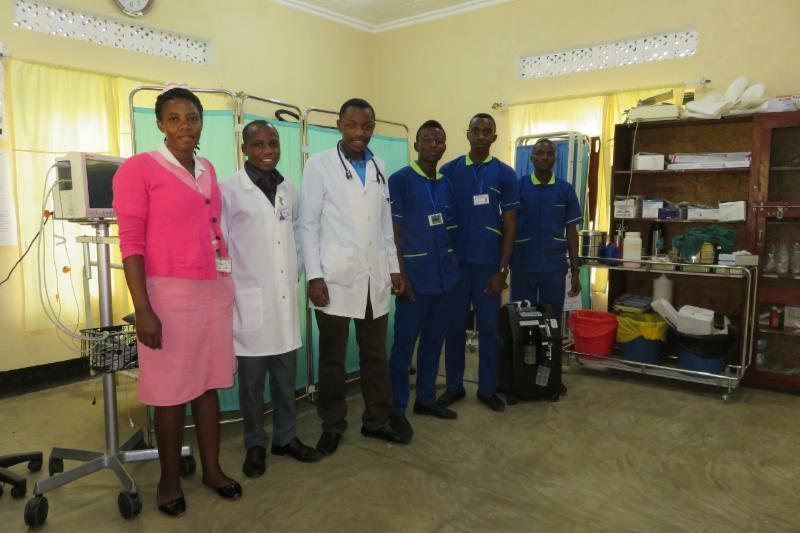 This dedicated team recently treated a young mother of three, 28yr old Adelle (not her real name), who came in with a 9 week pregnancy outside her womb. During the preparation for her surgery, she developed a severe allergic reaction to one antibiotic given, became comatose and went into cardiac arrest. Our emergency team was immediately mobilized and swung into action… The anesthetist worked with the team to mobilize the necessary equipment to secure her airway and other items such as adrenaline and glucometer strips. Once all the necessary equipment was found, the team were very relieved when Adelle was successfully resuscitated. After 10 minutes however, she suffered a second cardiac arrest, which proved to be fatal. The delay in accessing the equipment and drugs needed meant that irreversible damage was caused to Adelle’s essential organs which is thought to be the reason that the second cardiac arrest occurred. If only these necessary items had been in the right place at the time when they were needed by the team, Adelle’s life may have been saved and her children would not have been left without a mother. This case highlights the critical and urgent need to have a crash cart or emergency trolley with a complete set of equipment and drugs necessary to handle emergencies in each area of the hospital where emergencies may occur. Critically, we would like one for the emergency room and if possible, 4 more for the maternity department, operating room, pediatrics and the in-patient ward so this is what we are appealing for this Easter. 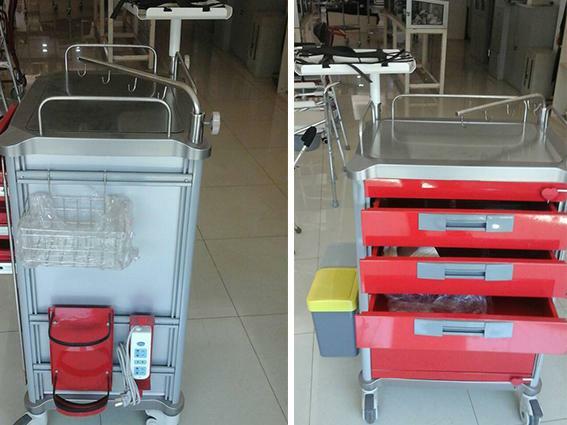 An emergency trolley with drawers for each of the above purposes with all the necessary equipment is available from Kampala for $2,150 US / £1,520 GB each which means a total for 5 trolleys of $10,750 US / £7,610 GB. Once the trolleys are bought, we will order the drugs needed and assign a nurse from the respective departments to ensure the stock of these drugs is maintained. Any amount that you feel you can contribute to raising money for our emergency trolleys would be highly appreciated. We thank youfor all the support you give us already and hope you don’t mind us sharing this appeal with you. Next Post Taking flight: REACH Bwindi achieves charitable status!